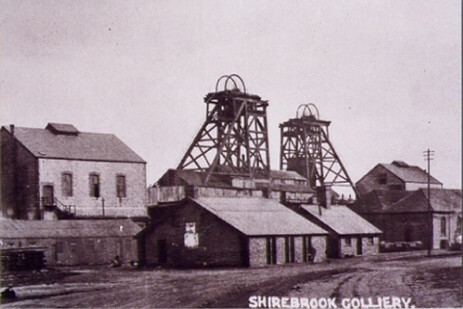 Shirebrook Colliery. SK 46/56 53126682. Sunk from 1896-7 by the Shirebrook Coal and Iron Company under the direction of Arnold Lupton the mining engineer. The number two shaft to the Top Hards was 1630 feet deep. Two 18 foot diameter shafts were sunk in total with a later drift from the surface. Derbyshire Times. 30th October 1897. The work in connection with the new colliery at Shirebrook is rapidly extending. The engine house and fitting shops and other buildings are nearly completed. A small output of coal which is of a satisfactory quality has already commenced and extensive sidings are in the course of construction with the railways. The plant is put down to deal with a daily output of 3,000 tons and several hundred men are employed. About a half a mile away from the colliery a model village is springing up, some 150 houses have already been erected and about 420 are to be built. There is an enclosed garden in front and an enclosed yard at the back of each. The houses are fitted up with bathrooms and sculleries. Trees will be planted in the main street and a hotel is to be built at a cost of £3,000. During sinking the colliery employed 140 men underground and 260 on the surface in 1896. In 1908 the colliery employs 1345 men underground and 282 men on the surface. The manager is Mr. L.O. Roberts. In 1918 under the management of Mr. A. Naylor the colliery employed 1190 men underground and 336 on the surface. 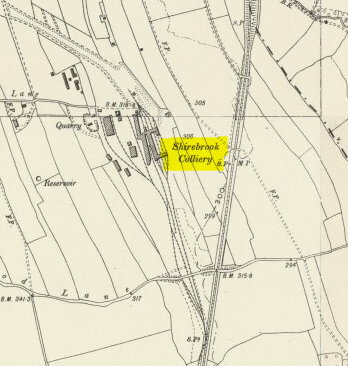 By 1938 the colliery is managed by Mr. H.C. Knighton with under-manager Mr. T. Knighton. Employing 1089 men underground and 378 on the surface. Prior to Nationalisation the colliery in 1945 was managed by Mr. E.W. Potts of the Shirebrook Colliery Company. Mansfield. Nottinghamshire. It employed 1086 men underground and 435 on the surface. On January 1st 1947 the colliery was one vested into the National Coal Board. 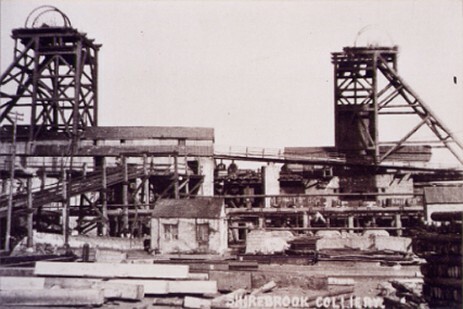 Shirebrook colliery was a colliery that received great investment over the years. In 1976 the Jubilee Drift was undertaken to link the surface to the coal of the Main Hard seam to get the coal out of the mine faster with less delays. This culminated in the colliery producing over 1.7 million tons in 1986-87. The colliery closed April in 1993. Bottom two photographs Bill Skevington.